Climate change might have profound effects on the nitrogen (N) dynamics in the cultivated landscape as well as on N transport in streams and the eutrophication of lakes. N loading from land to streams is expected to increase in North European temperate lakes due to higher winter rainfall and changes in cropping patterns. Scenario (IPCC, A2) analyses using a number of models of various complexity for Danish streams and lakes suggest an increase in runoff and N transport on an annual basis (higher during winter and typically lower during summer) in streams, a slight increase in N concentrations in streams despite higher losses in riparian wetlands, higher absolute retention of N in lakes (but not as percentage of loading), but only minor changes in lake water concentrations. However, when taking into account also a predicted higher temperature there is a risk of higher frequency and abundance of potentially toxic cyanobacteria in lakes and they may stay longer during the season. 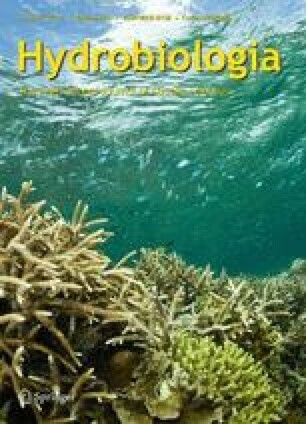 Somewhat higher risk of loss of submerged macrophytes at increased N and phosphorus (P) loading and a shift to dominance of small-sized fish preying upon the key grazers on phytoplankton may also enhance the risk of lake shifts from clear to turbid in a warmer North European temperate climate. However, it must be emphasised that the prediction of N transport and thus effects is uncertain as the prediction of regional precipitation and changes in land-use is uncertain. By contrast, N loading is expected to decline in warm temperate and arid climates. However, in warm arid lakes much higher N concentrations are currently observed despite reduced external loading. This is due to increased evapotranspiration leading to higher nutrient concentrations in the remaining water, but may also reflect a low-oxygen induced reduction of nitrification. Therefore, the critical N as well as P loading for good ecological state in lakes likely has to be lower in a future warmer climate in both north temperate and Mediterranean lakes. To obtain this objective, adaptation measures are required. In both climate zones the obvious methods are to change agricultural practices for reducing the loss of nutrients to surface waters, to improve sewage treatment and to reduce the storm-water nutrient runoff. In north temperate zones adaptations may also include re-establishment of artificial and natural wetlands, introduction of riparian buffer zones and re-meandering of channelised streams, which may all have a large impact on, not least, the N loading of lakes. In the arid zone, also restrictions on human use of water are urgently needed, not least on the quantity of water used for irrigation purposes. We are grateful to A.M. Poulsen for manuscript editing. The project was supported by the EU-WISER and EU-REFRESH projects, “CLEAR” (a Villum Kann Rasmussen Centre of Excellence Project), the BUFFALO-P project funded by the Danish Ministry of Food, Agriculture and Fisheries under the programme “Animal Husbandry, the Neighbours and the Environment”, the IMPACT project funded by the Danish Ministry of Food, Agriculture and Fisheries, The Research Council for Nature and Universe (272-08-0406), MONITECH, CRES, the BAP-METU and ÖYP- METU funds, TÜBİTAK, ÇAYDAĞ 105Y332.